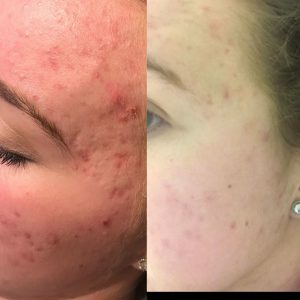 Do you suffer with acne breakouts? 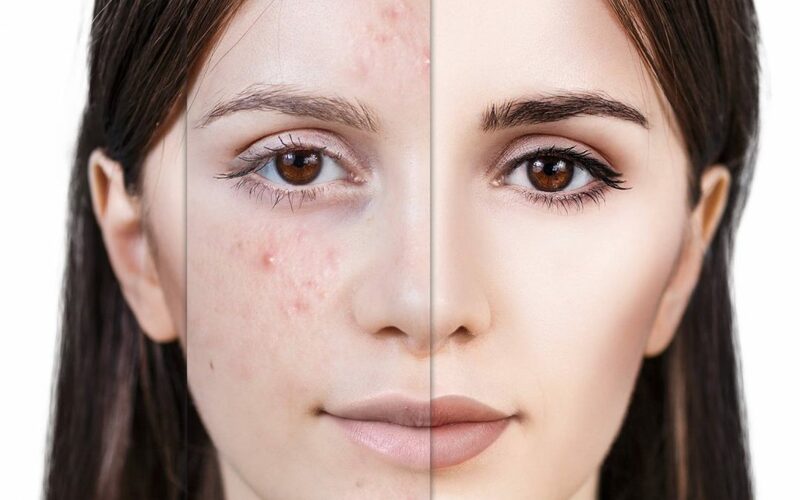 Having spots can knock your confidence and make you want to hide away! And that’s exactly how I felt. Working in the beauty industry I always felt that everyone was looking at my skin and judging me. That all changed when I had a course of Skinbreeze facials. 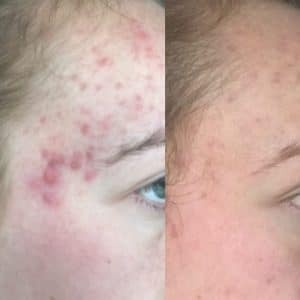 Since the age of 14/15 I have always suffered with breakouts, and I was always told it due to hormones but that doesn’t mean it can’t be treated. Doctors were always very keen to prescribe medication, but I found these to have some awful side effects. I wanted to try to treat my breakouts by choosing a more natural route. Recently my skin had a big flare up and was very inflamed angry and sore, it was really knocking my confidence, it was upsetting me daily! With my wedding coming up this year it was a huge concern of mine to get on top of my skin problems. I started having Skinbreeze facials once a week for 6 weeks. The difference in my skin is amazing! It’s a lot calmer and almost clear of breakouts. I’m not getting anywhere near as many breakouts and when I do, they clear up a lot quicker! My scarring has reduced massively too!I’ve never been able to control my breakouts this much naturally before my treatment course. When starting the treatment course, I was given a thorough skin consultation which enabled me to choose the correct skin care products I use every day at home. This is just as important as this works along with the treatment. My personal favourite product is the ilapothacary toner. It contains witch hazel which is fantastic for treating acne skin. Skinbreeze facials are very results driven and can noticeably make a change in your skin overnight! A deep exfoliation/dermabrasion is performed to bring new cells to the surface and shed old cells. With the added benefit of LED light therapy, blue light helps to heal the skin, kill acne bacteria and slow sebaceous activity. This is followed by a deep cleanse with antibacterial ozone which will zap those spots away, and then the skin will be fed by pushing serums deep in the skin. A hydrating and soothing mask is applied. The day after your Skinbreeze facial your skin feels glowing, and spots look calmer. Results are seen after one treatment, but a course of treatment is recommended for best results. I highly recommend Skinbreeze, the difference in my skin is unbelievable. If you suffer with problematic skin and would like to come in and talk with me or make an appointment for a Skinbreeze treatment, please call 01280 703352. 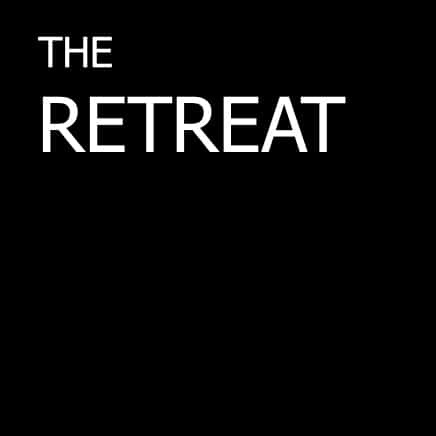 Gift vouchers are available for all treatments and The Retreat Spa Packages. You may also buy a gift voucher to be redeemed against our extensive retail range.